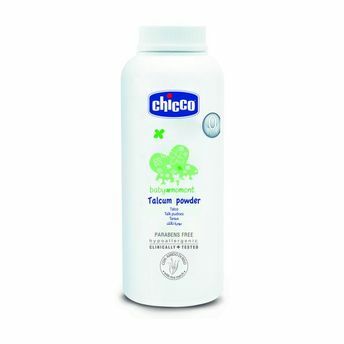 Keep your little one dry, clean and fresh with this great Talcum Powder by Chicco. Enriched with an absorbent formula, this talcum powder contains Rice Starch that refreshes and protects baby's skin retaining its softness. It allows the skin to breathe naturally, without clogging skin pores. A total must-have we say!